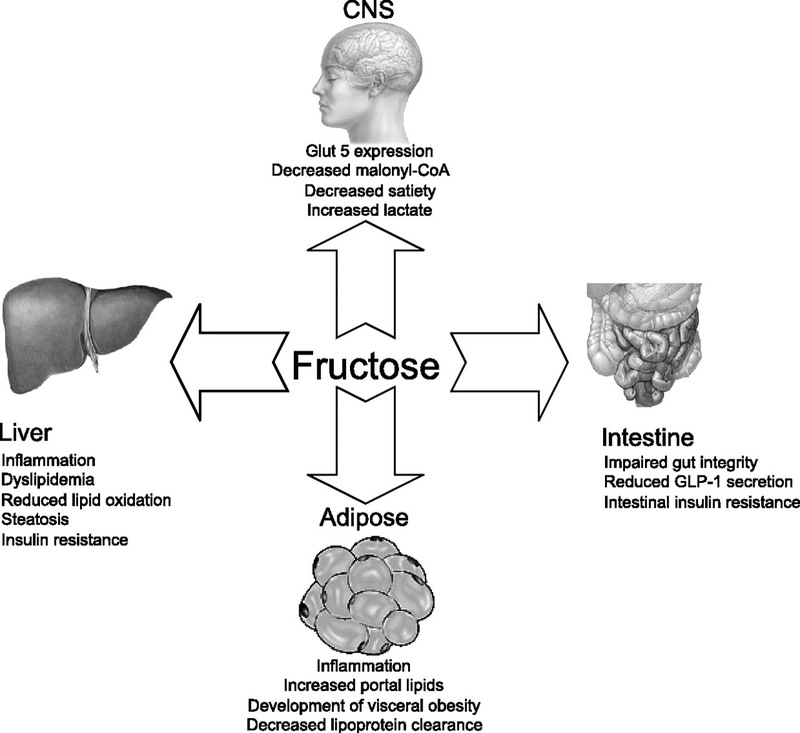 Fructose, Sugar and Your Health….. This one’s for Sarah R….. 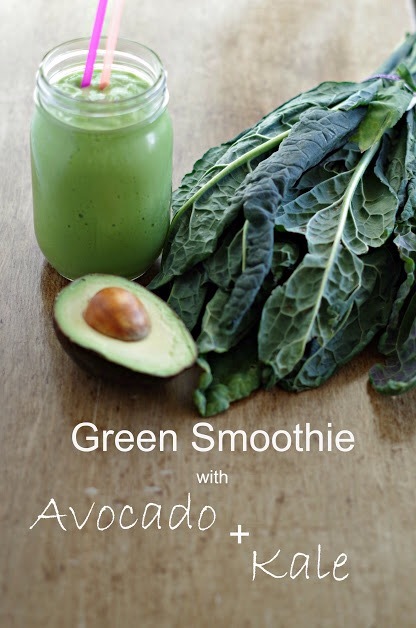 This will answer some of your questions raised from my last post on Facebook about what to drink….. 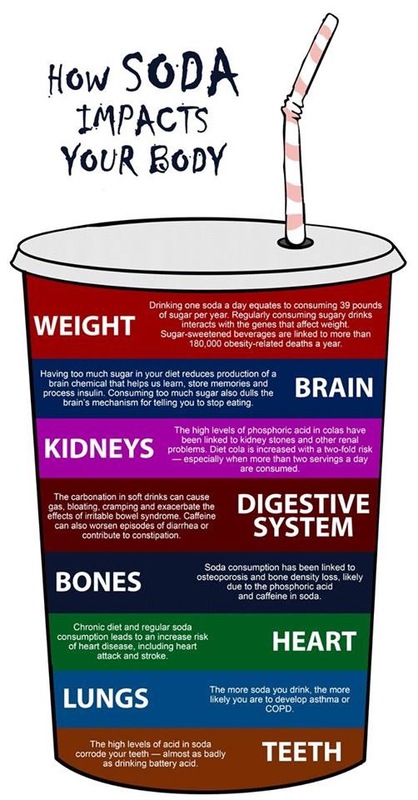 Even though most people understand that sweetened drinks are “bad for them”, I think it’s a disconnect between not fully understanding what fructose does to the cells of your body that makes people not take it more seriously. If they really understood that they were swallowing poison when they drink a soda or a high-fructose corn syrup sweetened fruit drink, I think most people wouldn’t choose to drink that. Or is it really THAT addictive? Keep in mind that honey is a source of fructose that should be used with caution, you also need to realize that quantity matters… if you’re only having a teaspoon a day of honey in your tea, this is NOT something to be concerned about as we’re talking about no more than 5 grams of sugar from honey in that case. 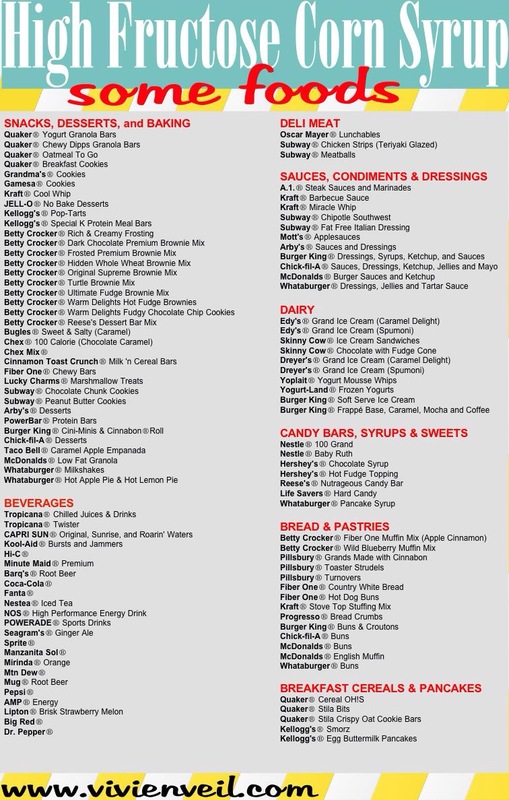 On the other hand, a soda or sweetened fruit drink usually has 40-50 grams of sugar or more (and a large amount of that in fructose form), so you can see in these examples that honey is NOT usually an issue unless you were taking it in very large doses for reason, and is not even comparable to the sugar and fructose load that you get with sweetened drinks. Plus, in the smaller doses that are typical of a small spoon of honey in your tea, the honey does indeed have some valuable micronutrients, whereas the fructose in corn syrup has ZERO benefits. Also, many people have asked “how much fruit is too much?” because fruit does contain fructose. Again, the fructose in fruit is generally not nearly as much of a concern as sweetened drinks or other junk foods that contain corn syrup, because the quantity is relatively low and you also get valuable micronutrients from fruit. As a generalization, most people do best to limit fruit to 1-2 servings a day to keep the total sugar intake from fruit to around 20-40 grams per day total, but combined with the natural fiber that’s in fruit, which again, makes fruit more beneficial than sweetened drinks or junk foods sweetened with corn syrup and other sweeteners.